Global warming is thawing Siberia’s permafrost. In his book Extreme Threats: Climate Change, author Don Nardo lays out a number of potentially calamitous consequences that might result from climate change. Heat waves, droughts, prolonged and devastating periods of freezing temperatures, increased numbers of natural disasters such as floods and hurricanes; the list goes on and on. But a new, particularly icky threat has recently come to life: gigantic, ancient viruses. Earlier this month, scientists discovered a 30,000 year old giant virus buried some one hundred feet in Siberia’s frozen ground. 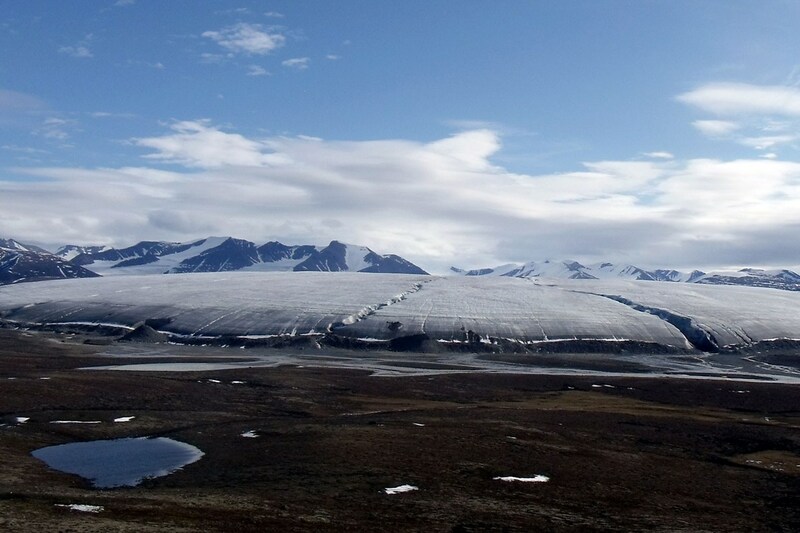 Called Pithovirus sibericum, scientists believe the virus was sealed in the cold region’s permafrost (soil at or below a freezing temperature for more than two years). Indeed, many animals and organisms have been preserved for centuries in the frozen ground (some researchers have even tasted perfectly preserved wooly mammoth meat). But climate change and warming of the Siberian region have caused the layers of permafrost to decrease at steady rate, exposing many of these ancient lifeforms, including many viruses that been sealed away for thousands of years. 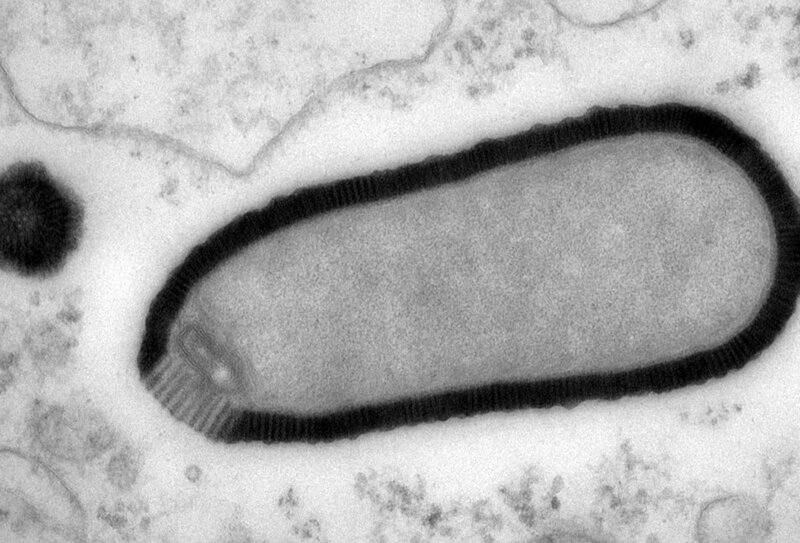 Pithovirus sibericum is one such virus, and it’s big. Literally. At just 1.5 micrometers, it may not sound large, but it’s about 1,000 times larger than an average virus (such as influenza); it also contains about 2,500 genes, while influenza has just thirteen. And research shows that the newly thawed virus has been revived and is growing and multiplying. Fortunately, this particular virus strictly attacks single cell organisms, such as amoebas; it doesn’t attack more complex organisms like humans or animals. But, the researchers studying the giant virus worry that’s it just one of many frozen in the permafrost. The more that global warming thaws out the frozen ground, the more likely other ancient viruses will be found and potentially revived. Not too mention that earlier this year, scientists reconstructed the genetic code of a strain of the bubonic plague that wreaked havoc in the Roman Empire under Emperor Justinian; they were able to do so by extracting DNA from the teeth of two ancient bodies found by land developers in Germany. Scientists hope that studying the bacteria will give a greater understanding the plague’s evolutionary journey, providing insight into human history and the disease itself, which still affects some people today. Still, ancient viruses and bacteria being extracted from frozen ground and preserved teeth bring to mind science fiction and apocalyptic scenarios. Of course, that kind of thing is just fiction . . . anyway, now I’m off to move into a hermetically sealed biosphere and shower in Purell. To learn more about the other dangers posed by climate change, as well as what we can do to slow it down, check out Extreme Threats: Climate Change by Don Nardo (ISBN# 978-1-59935119-3) from your local library or order it from Morgan Reynolds Publishing. For more about the Bubonic plague, influenza, and other diseases, please see Morgan Reynolds’ Diseases in History series.